The Federation of Family History Societies has completed the 3rd edition of its National Burial Index for England and Wales, with an impressive 18 million names and more. This is almost double the number currently available on the FindmyPast.co.uk website, which hosts some 10 million entries from the second edition. Learn Scottish Gaelic - in Andalucia! A couple of posts back I mentioned how I had been learning Scottish Gaelic in Bristol many moons ago. There's many ways to learn Gaelic. In Scotland is certainly one useful way to do it, mainly on account of the Gaels living there! That's the traditional approach. There was my way, the novelty way, i.e., be an Ulsterman living in England to have a go. Then there is the truly exotic - learn it in Andalucia, Spain, under the lemon trees, with a pool at your feet and the sun beating down on you in all its brilliance. Damn, I hear you mutter under your breath, if only there was a course in Andalucia. I mean like, what are the odds...? Oh ye of such little faith! Well known Gaelic singers Gillebride Macmillan and Fiona Mackenzie, along with broadcaster, actress, and all round good egg Rhoda Meek, will be hosting and teaching a course from the evening of Wednesday 28th April 2010 through to the afternoon of Sunday 2nd May, at the Hotel Bandelero in the the village of Júzcar, Andelucia. Details of the full programme are available at www.fionamackenzie.org/Course_Information_2010.pdf, with a course booking form at www.fionamackenzie.org/Booking_Form.doc. The February issue of Discover my Past Scotland (issue 16) is now available at www.discovermypast.co.uk, packed with all the usual goodies. John Hannavy looks at the Victorian fad for 'taking the waters', Sue Wilkes provides a profile of Sir Walter Scott, Michelle Higgs explores the lives of Scottish lighthouse keepers, Ruth Symes visit the kitchens of old to see what old Scottish recipes can say about your family, as well as starting a new series on the annals of Edinburgh, Katie Howard describes the resources available for Orkney research, and yours truly examines how to research death in all sorts of Scottish records, as well as providing the latest news and reviews from the Scottish genealogical scene. Along with all the other regular features, such as Q&As, events listings, bygone days and more, it's £2.50 well worth spending! OK, it was actually Bristol, which is about six and half hours away down the motorway in that strange land of the Angles that is England! As a student in the city I had started learning Irish during my spare time through the Bristol Irish Society, the odd one out, to say the least, with me being a Northern Irish protestant. All went well for several months, until one night when one of the organisers was attacked by loyalist nutters from Belfast who were apparently over for just a few days. The gent in question was seriously hurt, which meant that afterwards I was sadly not as welcome as I had been before. I did not take it personally, and did remain in touch with many members for several years after. With no society to now go to, I looked for ways to help myself learn from home, and along those lines I bought myself a copy of an album called 'Ard' (meaning 'high') by a group called Runrig. But crikey, what had gone wrong with the Irish language? The spelling was atrocious in the printed lyrics, the pronunciation was off, but the music itself was wonderful. At that point, as someone who had been raised in Northern Ireland, I had absolutely no idea that anybody else in the world spoke in Gaelic, let alone just over the water. What I had in fact bought was my very first album in Scottish Gaelic (Gàidhlig). Needless to say, I absolutely fell in love with it - much easier to learn (no present tense - imagine! ), more directly relevant to my ancestry (though I wasn't aware of it at the time), and a complete surpise to me in that although most of those who spoke it were actually protestants in Scotland, it was a form of Gaelic with no sectarian hang ups, as in Ireland. So having discovered this amazing language, I decided to park learning Irish for a bit and to have a go at Scottish Gaelic. I needed a course - and along came a very old VHS copy of a 1970s series called Can Seo, which I discovered soon after through the Bristol branch of the Cardiff Gaelic Circle! Can Seo was produced by the BBC as an absolute beginner's guide, and is remembered affectionately by many learners in that it absolutely did what it said on the tin - it taught you how to speak the very basics of the language, not in parrot fashion, as with later series such as Speaking Our Language, but by actually explaining how the words worked as you went along. It got me hooked, and from there I moved onto Boyd Robertson's Teach Yourself Gaelic series, but Can Seo definitely paved the way. Now the series is online at YouTube, so if you fancy a go, get stuck in! Forget the 70s fashion, the wooden smiley presenters, and the almost Open University like look to it - it is a course that actually works. If in doubt, here's the first part of the first episode - enjoy! I should add - the music is from Runrig! The Glasgow Women's Library blog has posted a report on the recent Women’s Work in the Highlands conference before Christmas, organised by WEA Scotland, Glasgow Women's Library and the Highland Archive Centre. As part of its celebrations to celebrate the 800th anniversary of the granting of the Royal Burgh Charter to Perth by King William the Lion of Scotland in 1210, Perth Museum has launched the Skin & Bone: Life & Death in Medieval Perth exhibition. Access is free and the exhibition runs throughout the year. The Royal Burgh of Perth has been a thriving town for over 800 years. The town has grown considerably since its early days in the 11th century and, although only St John’s Kirk stands to visibly remind us of that medieval past, every day we walk over the buried remains of the old town. The special exhibition includes loans from other collections and features the Hammermen Book - the medieval guild record book - and the Perth Psalter prayer book both from the National Library of Scotland, and the Hammermen’s stock box from St John’s Kirk, which was used in the 15th century and later to collect fines from local metalworkers in and around Perth. Finds from excavations in the latter part of the 20th century form a large part of the exhibition. Digs on Perth High Street, Mill Street, Canal Street, around Horsecross, St John’s Kirk and several other places turned up some incredible objects, bodies and buildings. Skeletons discovered beside the Kirk during pedestrianisation work, believed to be from the medieval burial ground, will be on display, along with other skeletons uncovered during work around Horsecross. One of these, nicknamed “Robert” by excavators, appears to have been murdered and dumped in a hastily-dug pit near the site of the current Museum and Art Gallery. The remains of several dogs that have been found under the streets of Perth city centre reveal that medieval Scots enjoyed keeping pets - the skeleton of one appears to be that of a lap dog. Another appears to be the remains of a fighting dog, illustrating a more grisly side to medieval leisure pursuits. Other items on show will be an ornately carved ivory knife handle recovered from Perth High Street excavations, one of several inidcations that some medieval residents of Perth were high status individuals. A set of iron scissors, pins, jugs, a candle holder and an anvil base are some of the items that will show how Perth was a thriving centre of crafts and trades in and before the 16th century. A chess piece made of jet which was recovered from Meal Vennel and parts of other board games recovered during excavations give an idea of how people in medieval Perth liked to spend their leisure time. Also on display - kindly lent by Perth and Kinross Council Archives - will be one of only two surviving medieval copies of the charter from King William the Lion confirming Perth’s royal burgh status, making this a must-see exhibition for 2010. My family's connection with Perth is very strong, the Patons having moved there in the 1770s, and with several cousins of mine still resident there today. So if you don't visit, I'm gonna take it personally! :) Incidentally, if you have weaver ancestors from Perth, visit my site at www.perthweavers.bravehost.com, where some records have been made available and a summary of the handloom trade from 1770-1844 based on a university project I carried out a few years ago. Business Archives Scotland has posted an update to say that its Business Archives Strategy for Scotland is being finalised and will be made available for public consultation within the next few weeks. There is also some discussion on cross border representation for companies with assets in both Scotland and England. The ScotlandsPeople Centre computer system has just undergone an update to January 9th 2010 for all recent birth, marriage and death record events. Any events which may still be missing will be down to the fact the relevant registrar's office has not submitted the records yet, but these will be due soon. The DIGROS system in the Dundas Room has been similarly updated, along with recent divorce records (these will be updated on the main system elsewhere in the centre soon). Indexes for George Square in Edinburgh that were previously missing from the ScotlandsPeople network have now also been added. If anyone is looking to go through the Evening Times microfilms at the Mitchell Library in Glasgow, it is worth noting that not all editions have been photographed. I was in today doing some work for a client who had asked me to try to find the exact dates of 18 articles which appeared in a semi-regular series in 1938. I had the timeframe narrowed to between May and October, but was initially unable to find them. I eventually found a reader's letter after two hours digging, which in commenting on one of the articles in question referred to its exact date of publication. Yet even with that, it was still not found on the microfilm. The reason was that the Saturday issues which were photographed were only the Final Editions, usually printed with the sports results and just a couple of other pages from the First Editions. When I guessed it might be the case, I was able to get the librarian to bring out the original bound volume to double check, and soon located some of the articles in the earlier editions which had indeed not been photographed. The moral of the story is that even when a microfilm run of papers is available at an archive, it may not contain each and every edition of the paper you are using, so don't be afraid to ask to see the originals. Not all archives will allow this, but in my experience most will if you have a legitimate reason to request access. Some images from the WW2 Blitz in Aberdeen have been placed online at http://news.bbc.co.uk/1/hi/scotland/north_east/8485102.stm. The pictures, held by Grampian Police archive, will be shown at the Deemouth Business Centre, South Esplanade East, from Saturday until Sunday 14th February. The National Family History Fair is BACK! The wailing and gnashing of teeth was unbearable; grown men were reduced to tears; genealogists had seemingly lost their census (sorry! ); and the north of England was in mourning. Weep no more! The National Family History Fair is BACK! Following an announcement in early January from Robert Blatchford, organiser of the fair, that this year's event would be cancelled (in light of certain non-forthcoming commitments from the previous venue in Gateshead), an overwhelming response from vendors and the general public has forced him to have a rethink. The good news is that the event is returning, but at a different venue in Newcastle. The National Family History Fair in 2010 will be relocated to Newcastle City Centre. Because of the relocation of the Fair there will be a reduction in the available accommodation for exhibitors so there will be a limit on the number of tables that can be booked by exhibitors. This is to ensure a wider choice of exhibitors. I anticipate that these changes and a new location will bring more people through the door and generate a higher return for the exhibitors. In addition, for those exhibitors who wish to stay overnight, I have used the leverage of the interest from the new venue to secure cheaper accommodation rates. In the heart of Newcastle city centre with excellent transport links, this hotel makes an ideal base from which to explore the local surrounds. Just a short walk from the historic Quayside, as well as great shopping, galleries, museums and theatres. From South: Exit A1 onto A184 slip road towards Newcastle. Keep in left hand lane, at roundabout take 2nd exit Gateshead. Over Tyne Bridge exit A167M take the 2nd exit. From North: Towards the Tyne Bridge on the A167M, exit at the junction with the A193. At roundabout, take 3rd exit onto Durant Road, left at traffic lights, left at lights again, then 1st left. The hotel/inn has held a number of large exhibitions and conventions including Star Trek and Dr Who conventions and so is well established to cope with all the needs and demands of the fair attendees. The maximum number of tables per exhibitor is three. Please don't delay in booking from now as the tables will be booked quickly and the accommodation rates will quickly change. A review by the Keeper of the Records of Scotland of Scottish public records legislation following recommendations from The Historical Abuse Systemic Review of Residential Schools and Children’s Homes in Scotland (the Shaw Report) has now been published online. A 72 page PDF document, it can be accessed at www.nas.gov.uk/documents/Keeper'sReport.pdf. Several failures were identified in record keeping in the process, and the National Archives of Scotland has since been asked to prepare a follow up consultation document on how to address the shortcomings identified. A letter written by Jean Armour, widow of Robert Burns, which was discovered in a New York junk shop, was today gifted to the National Library of Scotland. Good timing for Burns Night! Following my post yesterday, the Scottish government sites in question which could not be accessed are all back up and running - in particular this includes the Scottish Handwriting site and the NAS site which several readers have been experiencing problems in accessing. Following contact from a reader yesterday that the Scottish Documents website at www.scottishdocuments.com appeared to be down, it appears that the Scottish Archive Network site at www.scan.org.uk, the National Archives of Scotland site at www.nas.gov.uk and the Scottish Handwriting site at www.scottishhandwriting.com site are also all down. I assume this is due to some form of update, but rest assured, if you're not able to gain access just now, you're not alone! I'll update when the sites appear to be back online. A really belated story this, but I've just been drawn to a fascinating news story from the Times which I missed in December, which goes right to heart of clan identity and land tenure. The chief of the MacDonalds of Keppoch, 79 year old Ranald MacDonald (Mac Mhic Raonuill), is fighting to have all of the lands of Lochaber returned to him! His argument lies in the fact that he believes the lands were snatched from the clan's traditional ownership through the advent of feudalism in Scotland, having previously been held by the Keppoch MacDonalds according to the rites of 'ur duthchas', an old form of hereditary land tenure which was not included within the Abolition of Feudal Tenure (Scotland) Act. MacDonald has launched a petition to have his claim investigated by MSPs, equating the system to that of 'allodial' or 'udal' tenure (outright ownership) in Shetland and Orkney, which still exists followng the Act. He is also arguing that his clan were an indigenous people, and that his case therefore parallels that of indigenous tribes in Australia, New Zealand and America. The implications, if the claim is upheld, are simply enormous. If upheld, how much of Scottish clan territory will be in a similar boat? Many clan chiefs became feudal superiors, but were other clans dispossessed in a similar way? The Times article is located at www.timesonline.co.uk/tol/news/uk/scotland/article6965436.ece, whilst Scots Law News has coverage at www.law.ed.ac.uk/sln/blogentry.aspx?blogentryref=8023. MacDonald has himself recorded his thoughts on the matter as part of an address for the Gathering and placed them online via a downloadable MP3 recording at www.macdonaldofkeppoch.org/urduthchas.htm. The committee has apparently requested assistance from the Scottish government, Registers of Scotland, the Law Society of Scotland and the Scottish Land Court on the matter. It is not known how many rolls of Andrex have been requested by Scotland's top officials...! A new podcast lecture on migrants to Britain is now available from the National Archives at Kew website (www.nationalarchives.gov.uk/podcasts/new-britons.htm). This talk looks at immigration into Britain from the 16th to the 20th century and the relatively few sources that can be used to trace immigrants entering, and living, in this country. Records discussed can provide vital clues to the overseas origins of denizens or naturalised British citizens, as well as providing insight into their first years in their adopted country. Based on a talk by Mark Pearsall, duration 54 minutes. 1) A new system is to be implemented for resolving problems created by a digitised image found to be of inferior quality. When such an image is identified, the GROS will make a new digital image directly from the original register entry which will be provided within half an hour of a request on both the old DIGROS system in the Dundas Room and the main system in the rest of the centre. Customers should alert a member of the centre's staff if an image is illegible, and a new image can be commissioned immediately if that staff member cannot read it either. The GROS states that when an image cannot be so sorted (e.g. because the original register is not available because of use elsewhere) the customer will be informed. As such, microfiche access for the statutory records will be withdrawn. 2) Access to OPR and open census (1841-1901) microfilms will continue to be made available, in lieu of certain indexing errors still to be resolved. Access to microfiche will continue only for the Minor Records and the English and Welsh BMD indexes. To save film and fiche ordering time, all such materials will be relocated to the ground floor of New Register House. 3) To resolve problems with incorrect links between original register entries and those in the RCEs, a project is being put in place to improve these links. As such, the centre's staff encourages people to report problems on this front when they are discovered, and a new images will again be created directly from the original records. The bottom line is that the majority of microfiche are going (not to be destroyed, as claimed by some, but to be stored elsewhere in the centre), whilst the microfilms will remain for the time being. The system will be introduced on a trial basis from Monday, February 1st, in the Reid Room (the letter states in the Matheson Dome, but this has been subsequently changed). From a personal point of view, the potential loss of fiche is not a problem for me so long as an equivalent system is in place when this is enacted. As such, this announcement would appear to satisfactorily resolve my own particular concern - so long as the new system works! In particular, microfilm access in particular to the 1851 census, which is to be retained, is particularly welcome, as due to the nature of this census (basically it was written in blue ink on blue paper! ), it did not digitise well. A further change to come soon to the system in the next few months is a new search year by year facility, i.e. to step up or down a year at a time - as available on DIGROS - to replace the 5 years search range parameter currently available, with further developments also to be announced in the next few months. One other development, especially welcome, is the forthcoming provision of digital images of the indexes prepared by the registrars which appear at the end of each of the statutory register volumes - in other words, if there is an index issue, this provides a second bite at the cherry to find the record in question. (With many thanks to both Paul Parr and Dee Williams). Glasgow City Archives is resuming Saturday and late night opening on Wednesdays and Fridays (unitl 8.00pm), following its temporary abandonment before Christmas due to staff shortages. However, there are still staff issues, and it is worth contacting the archive in advance of any visit. Tomorrow (Saturday), for example, there is nobody to fetch and carry books from the storage area, so unless you call in advance to have something made available in advance of your visit, you could be fresh out of luck. The archive can be contacted at 0141 287 2908 or 2910. (With thanks to Evelyn at the ScotFamTree forum). Mel Gibson is apparently to make a film about the Viking raids on England and Scotland, as noted in yesterday's Daily Telegraph (see Mel Gibson to make Viking blockbuster). People will be talking in Old Norse apparently and killing people very horribly horribly. Rumours that the academics responsible for the historical accuracy of Braveheart have again been consulted have been denied, according to a mythical spokesman last seen to be wearing a helmet with horns as he went off to pillage the village. Further rumours from Hollywood outsiders that the Battle of Largs will be filmed in Nigeria are also hotly denied, as are the rumours concerning the hiring of an old man to speak in English as the official source for the use of Old English. Pharos genealogy courses - get the kids involved! Why not get the children involved in family history research?! Hannah Baker, B.A. 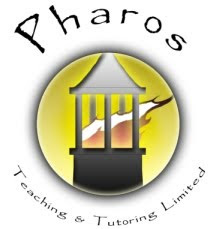 (Hons) History, PGCE, has joined the Pharos teaching team. With many years of teaching experience and a degree in Medieval History, Hannah brings a lot of experience to Pharos Tutors. Hannah will be teaching a brand new course, entitled Climbing Trees: How to get children interested in family history. Most people with a love of family history know how exciting discovering the lives of their ancestors is. Bringing this to life for children is a great way to share it. The course explains how to get young minds past the pages of records and data, and into a living, breathing world of the past. The course includes many cheap “make and do” activities and shows how to tie family history research into enhancing children’s scholastic skills. The course starts April 19, 2010 and lasts for four weeks. As noted the next Scottish Online course from your truly starts in mid April - places are still available! Full details about the course, with some previous students' feedback, can be found at www.pharostutors.com/coursedescriptions.php#102. Ancestry.com has announced that it has created an iPhone family tree application called Tree to Go, which can allow you to carry your tree on your mobile phone (i.e. an iPhone or iPod Touch with version 2.0 or later). Ancestry's blog post has more information on what the new app can do, whilst the software can be downloaded via Ancestry.com's site at http://landing.ancestry.com/iphone/?o_iid=41203&o_lid=41203. Graham and Emma Maxwell, of Maxwell Ancestry, have announced on their blog that they have completed mapping the censuses from 1841-1861 for Kelso and Yetholm (including Kirk Yetholm), and are now concentrating on Morebattle. The censuses for these areas and many others from the Borders counties have been transcribed and made freely available at their website at www.maxwellancestry.com - the plan now is to link each census entry to a map hosted by the National Library of Scotland. Love the name of Morebattle! In 1995 I worked as a researcher on the BBC TV series War Walks, and was stunned to learn that the Battle of Hastings never took place at Hastings at all, but at err...Battle! Typical of Scotland to go one better really. "Battle ye say? Battle?! We can fair better than that - more battle! Aaarghhhh!" Possibly the placename has a slightly more reasonable derivation....! The first of the three hour-long programmes will begin by looking back nearly 400 years and drawing parallels between today’s current operations and historic battle’s. Over his journey, Ken will look at how Scottish regiments tackle insurgents today and reflect on regiments of the 18th Century who had similar problems within their own borders and had to fight against fellow Scots at the Battle of Culloden. Could be interesting! The full SMRG blog post, including the full STV press release, is found here. Dundee based Brightsolid's fortunes over the last year were the focus of an article in yesterday's Scotsman newspaper, which can be read at http://business.scotsman.com/business/Family-history-site-helps-DC.5989334.jp. Financial figures have shown that the group achieved a pre-tax profit of just over £2m on a turnover of £13.2m, following the acquisition of the FindmyPast website. The BBC has also picked up on the story at http://news.bbc.co.uk/2/hi/uk_news/scotland/tayside_and_central/8464875.stm. Readers will be aware of the extensive coverage on this blog over the last few weeks concerning the 1939 national identity register for both the Scottish records and their southern equivalents. Guy Etchells, who made the initial application and appeal down south, has suggested on Rootschat that it may be worth making an enquiry now on the English and Welsh side of things whilst the decision is still being made on how access will be provided. The simple reason is that you are likely to get it for free just now, before some new pricing model comes in. English and Welsh returns can only be accessed by address (not date of death as with Scotland), so an application should state that you are interested in obtaining information on a particular address in a certain town or city under the Freedom of Information Act. The application should be e-mailed to the National Health Service Information Centre at enquiries@ic.nhs.uk. I am writing to acknowledge that your request for information was received by The Information Centre on 19th January 2010. Your request is currently being considered. If The Information Centre is able to provide you with the information you have requested, then under the Freedom of Information Act you are entitled to receive it within 20 working days. We may need to contact you to clarify your request. The Information Centre will not normally charge a fee to provide you with the information you have requested, unless the cost of dealing with your request is more than £450. If it appears likely that your request will cost more, I will write to you again asking if you are willing to pay the fees incurred, clearly setting out what those fees will be (in accordance with the Freedom of Information Act). It's unlikely that a request will costs £450! In other words, now may be the time to adopt the ago old genealogical research technique of 'getting in like Flynn'...! Five graveyards based in Edinburgh are on the World Monuments Fund's critical watch list - Greyfriars Kirkyard, Canongate Kirkyard, St. Cuthberts Kirkyard, Old Calton Burial Ground, and New Calton Burial Ground. They are in an appalling state - for more, visit the WMF's website at www.wmf.org/project/edinburgh-historic-graveyards. I must admit, one of the sadder aspects of Scottish genealogy is that Scotland's cemeteries are in a much worse condition in general compared to elsewhere in Britain and my own native Northern Ireland. Thank God for the thriving volunteers in Scotland (FHSs, Recording Angels, Moray Burial Research Group, etc) who transcribe the information contained on the various headstones. The papers of the Society of Friends, for both Limerick and Clare, have been placed online by Limerick City Council at www.limerickcity.ie/Archives/ReligiousSocietyofFriendsQuakersLimerick/ReligiousSocietyofFriendsQuakersLimerickPapers/. The records include vital records for the area, and records from the famine period. So we know about releases for the 1939 National Register now in Scotland, England and Wales - but what about the six counties of Northern Ireland, I hear you ask? "I can confirm that the National Register records in Northern Ireland are held by the Public Record Office (PRONI) but they are not currently available to the public. "PRONI will need to consult with other organisations as it considers how they might be made available in the future." There are currently no plans to have the 1939 records released just now, particularly as PRONI is about to undergo a major move to new facilities in Belfast's Titanic Quarter (with a nine month closure later this year to facilitate the move). The records of seamen who joined the Royal Navy between 1853 and 1923 can now be searched and downloaded from DocumentsOnline, The National Archives' digital records service. While many of the records from the Registers of Seamen's Services (ADM 188) and the Continuous Service engagement books (ADM 139) have previously been digitised, we have only recently completed the collection by releasing the final batch of files (ADM 139/221 - 1027) online. This means that over 680,000 records on Royal Naval seaman are now available to search and download. Many of the records reveal year and town of birth, names of ships served on and the period of time served in the Royal Navy. Even greater detail can be found in records from 1892 onwards, invaluable for those tracing their naval ancestors. Entries on occupation and physical appearance, such as hair and eye colour, height and tattoos can be found, and even notes made about 'character' and 'ability'. The records are free to search, but there is a charge of £3.50 to download. The service records of Royal Marines and Royal Naval Officers are also available from DocumentsOnline. The Public Record Office of Northern Ireland has recently updated its catalogue to provide a further 80,650 entries on its e-catalogue (eCATNI), bringing the total to 1,255,929 entries, though more has still to be added over the next few months. Alan Currie has published a series of four interesting letters written by soldiers fighting in the Crimea at www.talkingscot.com/forum/viewtopic.php?f=1&t=14653. The letters have been sourced from the Glasgow Herald. An interesting read. To see the books and articles, visit www.electricscotland.com. John Reid has blogged on his Anglo-Celtic Connections blog that the 19th Century British Library Newspaper Collection has just been updated with a further 100,000 pages. Amongst the new titles featured is a further Scottish title, the Dundee Courier, from 1845-1900, as well as additonal material for 16 other titles, including for the Isle of Man and Isle of Wight, though with no further Irish content as yet. The JISC site states that a million pages will be added in early 2010, so this is just a first batch, and that "The new pages added to the collection in December 2009 will be an exclusive preview available to UK Further and Higher Education institutions as part of the JISC licence agreement. Access to the newspapers remains via institutional gateways." Having just checked access through a local authority site, there is no sign of the update as yet, nor on the commerically available version to the public at http://newspapers.bl.uk/blcs. However, with the JISC announcement dated for yesterday, the update must be imminent. John's post, listing all the new titles to be included, is available at http://anglo-celtic-connections.blogspot.com/2010/01/100000-pages-of-additional-british.html. Sheena Tait has a concise and useful summary on where to look for online internet books, beyond Google, in her latest post at http://setait.co.uk/beyond-google-other-sources-for-free-books/. If, like me, you are getting hacked off with daily e-mails from World Vital Records, a much more preferable way to keep on top of the company's developments is to unsubscribe from its newsletter and to access its blog instead, available at http://blog.worldvitalrecords.com. As of today though, I'm blocking the company's e-mail newsletter address from my computer - foghnaidh's na dh'fhoghnas! (enough's enough!). UPDATE: The UHF has contacted me to say these are only available to full Guild members, which costs £30 a year. Who Do You Think You Are?" premieres Friday, March 5 (8-9 p.m. ET) and gives viewers an up-close and personal look inside the family history of some of today's most beloved and iconic celebrities. Among the celebrities featured are Matthew Broderick, Lisa Kudrow, Spike Lee, Sarah Jessica Parker, Susan Sarandon, Brooke Shields and Emmitt Smith. Ancestry.com is NBC's official partner on the series. From executive producer Kudrow ("Friends," "The Comeback") - in conjunction with her production company Is or Isn't Entertainment and the U.K.'s Wall to Wall productions - "Who Do You Think You Are?" is an adaptation of the hit BBC television documentary series created and executive-produced by Alex Graham. Who Do You Think You Are?" is produced by Wall to Wall productions (a Shed Media Company) in association with Is or Isn't Entertainment. Alex Graham and Lucy Carter from Wall to Wall and Lisa Kudrow, Dan Bucatinsky and Don Roos from Is or Isn't Entertainment are the executive producers. Bryn Freedman is the co-executive producer. Going south for this one! If you think you have a problem changing a lightbulb, think of the folks at St. George's, Bloomsbury. A short film at www.wmf.org.uk/resources/films/installing_the_chandelier shows a time lapse recording of the installation of a 17th century chandelier in the premises. Hopefully it has environmentally friendly bulbs! Thanks to architectural historian Jonathan Foyle via Twitter. 1939 Scottish national registers - my order arrives! As readers will no doubt be aware from my post last Friday on Scottish 1939 national registration, it is now possible to order up copies from the enumeration that was carried out in September of that year (see 1939 Scottish national registration census records to be released). Well muggins here does not muck about! As soon as I learned of the new release, I immediately placed an order to the General Register Office in Edinburgh, with a request to view the details of the two individuals, my great grandmother Jessie Paton (nee MacFarlane) and my father's uncle, John Brownlie Paton. Both entries came this morning, and I thought it might be worth outlining the information it contained and how those entries have both been of use. In this instance, I did not supply an address for Jessie (I did not have one) just her date of death and a vague indication that she might have been in Glasgow or Inverness. Family lore had it that she was moved to Inverness just prior to the start of the war by her eldest son, along with her daughter. The returned record conclusively shows that she was still in Glasgow when the war broke out. The mystery is, who was she staying with, as the address is not one I have come across? Possibly her daughter, certainly not her sons, but now I have a whole new line of enquiry to pursue. The record outlines that she was doing unpaid domestic duties, which might imply that she was staying with a family member. Lots of fun ahead...! I provided John's date of death and address in this instance. The information returned mostly confirmed what I had before, but the date of birth supplied was significant, as until now I only had his birthdate from a school record in Inverness. John was in fact born in Brussels, Belgium, where my family used to run a series of shoe shops for the Glaswegian firm R & J Dicks. So this is the only GROS issued record I have with John's date of birth. In each case the entry costs £13. I supplied two cheques, one each for £13, rather than a single cheque for £26, in case one could not be found. Am I pleased with the results? Very. Is it expensive? Yes, but I knew the cost up front and the likely type of information to be returned. Was it worth it? In this case, absolutely, as I was able to learn more about my family members from each, though in some cases I can see that it may not provide info above and beyond what people may already know. However, it is a fixed event, and every record is as important as the last in my view, so even if nothing new is forthcoming, that also shows that nothing has changed. So what unique info can be found in these records for 1939? i) Address obviously, particularly as you can order an entry without it - all you need is a date of death. ii) Names - John's middle name of Brownlie was simply abbreviated to B, so you may not necessarily find out someone's middle name if you are looking for it. Jessie's maiden name was not included. v) Occupation - in this case both had civilian roles. I am unclear as yet how this might differ for members of the military. I will be making more applications in future, though my grandparents had moved to Northern Ireland by this stage, but there were a few family stragglers still floating around to chase up! And maybe it's just me, but a three day turnaround?! Crikey - I think I got in before the rush! Big thanks to the GROS. 1) We will be significantly expanding our military records, including launching online for the first time anywhere Chelsea Pensioner service records and militia attestation papers (detailed military registration service records, containing personal details and physical descriptions). These are being provided in association with The National Archives. An index to militia attestation papers is currently available online at British Origins and elsewhere, but this looks like it might be the full records. The Chelsea Pension Records are fantastically detailed and can provide all sorts from physical description to lenghth of service, theatre of operation etc. Both contain lots of records for Scots. 2) Our BMDs section will be overhauled and improved, including the addition of greatly enhanced maritime records. 3) Irish and Scottish records will be arriving soon, establishing findmypast.co.uk as the primary family history site for the entire UK. I love ambition! No idea whether this means the arrival of records from ScotlandsPeople (both sites are run by Brightsolid), or something new (Scottish 1911 census, gazetteers, who knows?!). Until now FMP has been a fantastic resource for English and Welsh research, but fairly limited for north of the border and fairly unremarkable for Northern Ireland, so it's quite a bold claim to say it will be the primary family history site for the entire UK. What's in store? No idea! We'll have to wait and see...! A big thanks to Largs and North Ayrshire FHS for its hospitality last night, a really friendly group. I learned of a new book being published locally last night, and promised to give it a plug. Society member John Millar has written an account of the dynamite industry at Ardeer, entiled In the Shadow of the Dynamite - Ardeer: The Boattom En' o' the' Toon, an explosive account of the industry in the North Ayrshire factory located on the edge of Stevenston, which was instrumental in producing dynamite under the watchful eye of Alfred Nobel. The book is being launched at the Local & Family History Centre, Glasgow Vennel, Irvine, on Tuesday 26th Jan at 7:00 pm, and again on Thursday 28th Jan at Stevenston Library at 7:00 pm. It's published by Paterson Print, Irvine, and costs £9.99, with all proceeds going to the BBC Children in Need charity. Sounds like a fascinating account, and a very worthy cause. I believe it will be on sale in libraries across North Ayrshire. If you're a fan of the BBC's Heir Hunters, there's a behind the scenes look at the new series at www.fraserandfraser.com/WDYTYA%20day%20with%20Frasers.pdf. I've received an update concerning various subjects from the ScotlandsPeople Centre's head Dee Williams - here goes! 1) Many people have asked if an address is needed for the 1939 'census' details when making an application - the categoric answer is no. A request should include a date of death, but as noted on this blog previously, if a death is outwith the UK, proof should be supplied from the overseas agency where the death was registered. For full details on how to apply, see my previous article at 1939 Scottish national registration census records to be released. The original press release is also available at www.scotland.gov.uk/News/Releases/2010/01/12103321. 2) Is it correct that the back-up fiche will be withdrawn from the ScotlandsPeople Centre in February? The answer at present is that "Duncan Macniven, Registrar General, has yet to make a final decision on this matter and my understanding is that he will issue a letter once he has decided whether to change the existing arrangements." It would appear then that the possibility is largely a rumour at present - further details obviously if and when it should happen. Customers should be aware that the version of DIGROS (the old computer system) now accessed by them in the Dundas room is a clone version of the staff version. The change took place on the 5 November 2009 and was necessary to satisfy security requirements of the government IT network. The purpose of the change was to ensure that customers have no physical link to the staff network. Please note however that the customer version is not currently being updated and it is not expected to be updated on a regular basis until February 2010 at the earliest. I will inform you as soon as I have a date. I should add that I personally would no longer recommend the use of DIGROS, as it severely restricts what can be accessed for your buck when you visit. It is superior in a couple of ways to the new SP computer system, but honestly, the sheer range of potential of additional resources on the new system, including access to many external sites from the new SP computers, far outweighs what is available via DIGROS. My book Researching Scottish Family History (Family History Partnership) is out next month and deals considerably with the new set up and its potential. Any errors and poor images reported to the search room supervisors are logged and passed across to GROS who update the DIGROS system. In turn, the customer clone DIGROS system, the ScotlandsPeople network and the internet website at www.scotlandspeople.gov.uk will eventually receive the updates. Therefore, please continue to report these issues because it will lead to all systems being updated. I do not have a date yet for when the ScotlandsPeople network will updated for marriage searches prior to 1929 or when it will be updated with re-scanned images or reported index errors. Once again, many thanks to Dee and the SP team! Microfiche to be withdrawn at ScotlandsPeople Centre? I really hope it is not true, but if is, I would hope that an alternative system is in place for occasions where some images may still present problems. The fiche are no longer self-service, and it probably means that it would be a case of asking a member of staff to consult an original record if there was a problem, rather than to fetch a fiche. My only real concern would be if that meant it took longer for that problem to be resolved. Despite the recent freezing conditions the ScotlandsPeople Centre has remained open for business. The Edinburgh weather is currently undergoing a thaw but forecasts indicate there is a possibility of further snow at some point. We would ask that customers take care when arriving and leaving the Centre during any adverse conditions. Remember, if you need to cancel a booking please telephone us on 0131-314 4300 or use the form or email address on our Contact page. Natalie Ceeney CBE, Chief Executive of The National Archives, announced today (Monday 11 January) that she will be leaving in mid-March, to take on a new role as Chief Executive of the Financial Ombudsman Service. 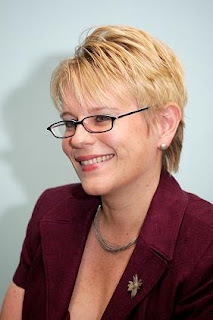 Natalie has been Chief Executive since 2005, and over the past four and a half years has made a major contribution to the continuing success of the organisation. Under her leadership, The National Archives has become a pioneer in knowledge and information management, while providing access to its collection and expertise to an increasingly wide and diverse audience. The Ministry of Justice will be handling the recruitment of Natalie's successor through open competition. In the intervening period the Ministry has asked Oliver Morley, currently Director of Customer and Business Development, to take over as interim Chief Executive. In his current role, Oliver is responsible for customer, product and service strategy, partnership and business development, trading services, and marketing and communications. His team led the launch of the online 1911 census and many other leading historical content services via the relaunched nationalarchives.gov.uk. Prior to The National Archives, Oliver was at Thomson Reuters, with global responsibility for improving information services for customers. Ironically I just received a quote from the press office concerning Natalie's CBE award - “I am honoured to receive this award. I am proud to be part of such a great and important institution and to have made a contribution to its success. Archives serve as our nation’s memory and as guardian of government’s information we constantly look to enrich the public record for future generations.” Clearly it's been a busy day at TNA! It’s with a real mix of emotions that, after over 4 years here at The National Archives, I’ll be leaving in mid March to take up a new role, as Chief Executive of the Financial Ombudsman Service. I’ve loved working at The National Archives, and feel very proud of everything that the organisation has achieved over the last few years. Over the past four years we’ve built up and really championed the Knowledge & Information Management Profession, which is going to be critically important going forward. And we’ve developed, together with partners across government, services such as Civil Pages (which launches to the whole Civil Service in April), and the Shared Service Digital Continuity Service (which is now tendering for a framework agreement that Departments can embed in their IT contracts). And, across the wider archive sector, we’ve developed a clear strategy which should help take the sector forward. I will really miss my current role, and miss working with my colleagues across government, but with my five year contract coming to an end later this year, it’s now the right time for me to move on, and let someone else take over the leadership of The National Archives and of the KIM Profession. I’ve got every confidence that The National Archives and Government KIM will continue to go from strength to strength, and that I’ll read about the latest news regularly in the press! The recruitment of my successor will be handled by the Ministry of Justice. Given the need to do a full, open competition for my role, this will take some time. In the meantime, the Ministry of Justice have asked Oliver Morley, currently our Customer & Business Development Director, to step into the Chief Executive role on an interim basis. I’ve worked closely with Oliver over the past year, and am confident that he’ll do an excellent job. I will try and introduce Oliver to as many people as I can before he formally starts. I won’t be leaving for two months yet, so I hope that, over that time, I’ll have a chance to say goodbye to everyone. And thank you for all the help and support you’ve given me, and The National Archives, over the last four years. I hope we can keep in touch. I've just posted this on a discussion forum, but I'm sure it will be of interest to SGNE readers. No major new developments, just something that is ticking over quiety in the background from the Scottish Documents team...! Currently, the NAS, in partnership with the Church of Scotland and the GSU, is making digital copies of the records of kirk sessions, presbyteries, synods and the General Assembly of the Church of Scotland from the sixteenth century to 1901. The project has captured about 5 million pages from original records. The digital surrogates will be used to replace public access to the original records, ensuring that these important historical records will be preserved. The digital copies will also be available in multiple locations in Scotland and, eventually, worldwide over the Internet. Testing has shown that an image delivery system is viable, albeit with some technical problems which require further development work. From April 2009, access to the Scottish Documents website will be extended to all Church of Scotland presbytery clerks and (at the discretion of the Keeper of the Records of Scotland) to other archives in Scotland. Access will be via a password-protected part of the Scottish Documents website. In this way researchers will have access to a wide range of presbyterian church court records in a number of local archives (whereas at the moment the originals and/or digital copies can only be seen in one or two places). By the end of April 2009 about 8,000 volumes of records were available online. By October 2009 the total number of voumes available is expected to be about 10,000. The remainder of the volumes (eventually more than 20,000 in total) will be added during 2010 and 2011. The NAS will continue to consult the Church of Scotland, local authority archives and other potential users of the system to plan wider access. The range of records available via Scottish Documents might be extended at some point in the future, for example to include valuation rolls, which are currently being digitised. The Keeper of the Records of Scotland may extend availability to include global Internet access via individual or corporate subscription or payment for digital copies via a complementary e-commerce service. Other classes of record may be considered for addition to either the Scottish Documents (partner) website or to the e-commerce website or both. Half of the Cherokee may be descended from a laird's son from Creichie in Aberdeenshire - and they are on their way over here! For more, see http://news.bbc.co.uk/1/hi/scotland/north_east/8447105.stm. (Thanks to Kirsty Wilkinson via Twitter). I actually met the Cherokee at Ocanaluftee in North Carolina, when filming a documentary series in the States for Scottish Television in 1999. We filmed them during their performance of 'Unto These Hills, which told the story of the Trail of Tears, which reminded me very much of the story of the Clearances, and there were other similarities with the Gaels, such as three main language dialects, as with the Isle of Man, Ireland and Scotland. A wonderful people, with wonderful customs and hospitatility. 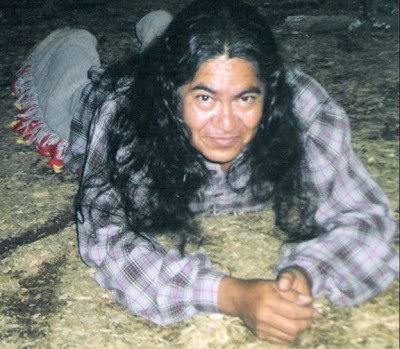 Pics: Unto These Hills, in 1999, and a Cherokee actor called 'Driver'. Please note that adverse weather conditions are affecting both our domestic and international deliveries at the moment. Some deliveries may take longer than usual to arrive at their destination, so please allow a little extra time for your order to arrive. Our publications team is working hard to dispatch all CDs that have been ordered, but there is a high demand due to our current sale and this, along with the severe weather conditions we are experiencing, means that it is taking us longer than normal to dispatch items. In addition other countries we deliver to, such as the UK, are also experiencing bad weather which is compounding the problem. We hope that during this time you will bear with us. Members of our team have walked nearly 7km through ice and snow to get into the office and work through orders but we cannot operate to our usual levels at the moment. We hope you understand that we are endeavouring to do our best and will get your order to you as soon as possible. Incidentally, the company's winter sale ends tomorrow. Just received a couple of discounted purchases, which I am VERY happy with! Do you want to track down a missing relative, loved one or close friend but don’t have the resources? Or perhaps your genealogical search has gone cold and you don’t know where to turn? Help is at hand in the form of "trackers" who will be filmed as part of a new BBC primetime television programme. Our team, with expertise in genealogy and people finding, may be able to help you find your missing person or lost contact. I suspect this is another bubblegum London-centric pilot development for daytime television (there's been a few that have come to nothing in the last few months), but I'm sure they are aware of where Scotland is and massively keen to represent our fine nation! Every so often I get an e-mail from a genealogical hero, somebody whose dedication to their interest results in a fantastic resource being made accessible to all. Today that award goes to Dundee based Michael Dun. For some time Michael has been putting together a website resource on the privateers involved in the War of 1812 (see http://en.wikipedia.org/wiki/War_of_1812), fought between the British Empire and the USA. Michael has now uploaded a truly remarkable research effort to his website, a list of those who sent payments back home following the 1795 Navy Act, during the reign of George III. This was "An Act to enable Petty Officers in the Navy, and Seamen, Non-Commissioned Officers of Marines, and Marines, serving in His Majesty’s Navy, to allot Part of their Pay for the Maintenance of their Wives and families", and the database has been created from subsequent records held in the Admiralty's Accountant General's Department collection at the National Archives at Kew (held under ADM 26). The database, a work in progress, so far includes well over 9000 entries and can be accessed as a PDF document at www.1812privateers.org/ADM26/ADM26.pdf. A transcription of the Act of Parliament can also be accessed at www.1812privateers.org/ADM26/NAVY%20ACT%201795.pdf. A truly magnificent effort, with records affecting people from across the British Isles. Do check out the rest of the site at http://www.1812privateers.org/ also, as there are many other useful records, including British POWS in the USA, and more. Will Brightsolid get Friends Reunited from ITV?